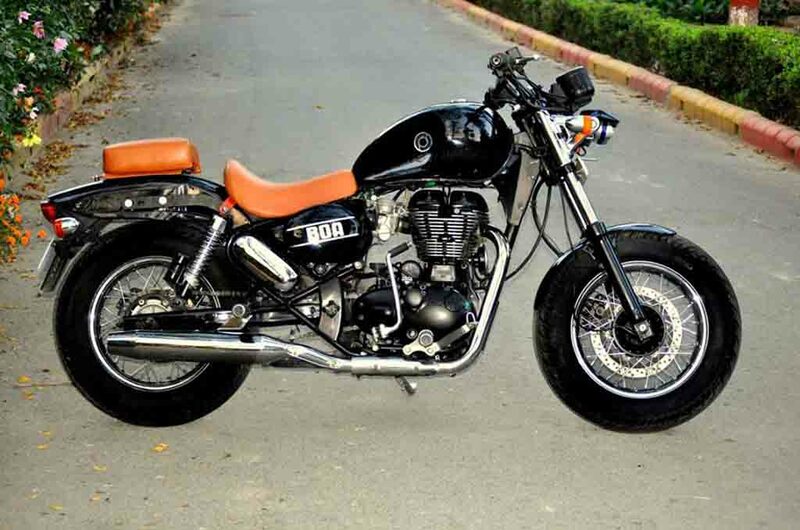 Remember the Royal Enfield Thunderbird 350 Karma custom motorcycle by Delhi-baed customisation shop Puranam Designs? Yes, the motorcycle with unusual paint scheme and an unique appearance, we talked about few days ago. Now, the modifier has done it again with a Thunderbird 350 and transformed it into a Bobber, which appears with an interesting yet unusual design. The customiser has christened the motorcycle as Bobber Boa. 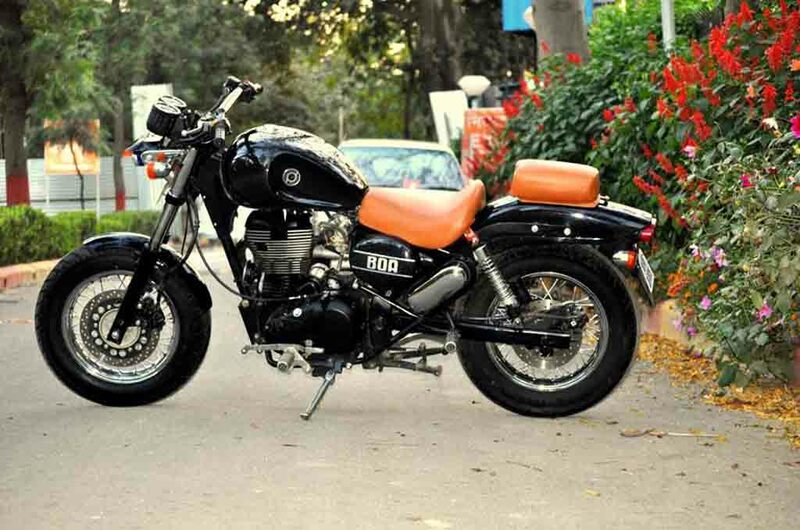 Royal Enfield Thunderbird 350 is a pretty popular model right after the Chennai-based motorcycle manufacturer’s bestselling model Classic 350. 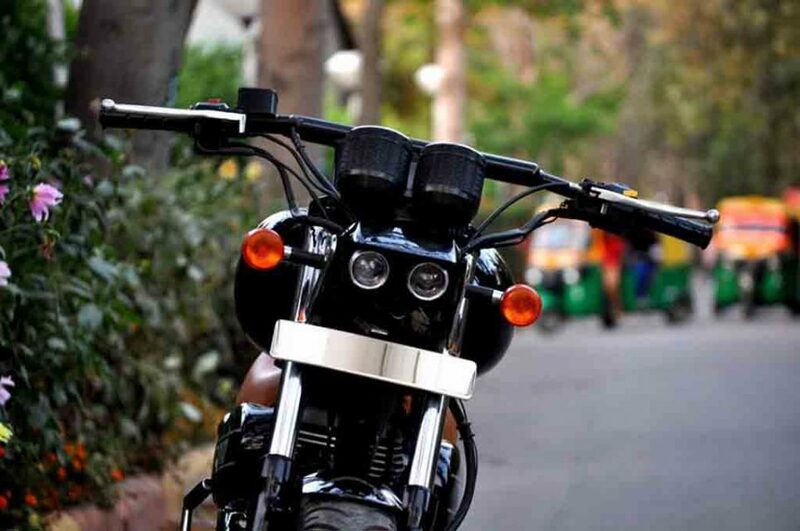 The Thunderbird is known for its cruiser appearance and here we see the motorcycle has been customised heavily to don a completely new look. It looks muscular and several parts of it have been modified. Speaking about the design, the round shaped projector headlamp of the regular model has been replaced by twin projector units, inspired by devil eye design. The twin-pod instrument cluster also come with a new look. The motorcycle gets custom straight handlebar, while the larger and muscular fuel tank adding more aggression to the machine. 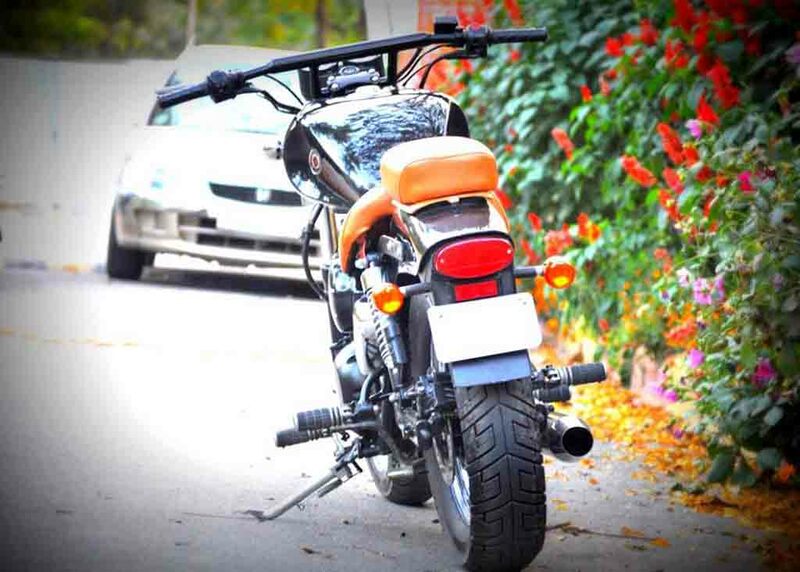 The custom seats come wrapped in brown leather and with a split appearance and the pillion seat can be removed easily. 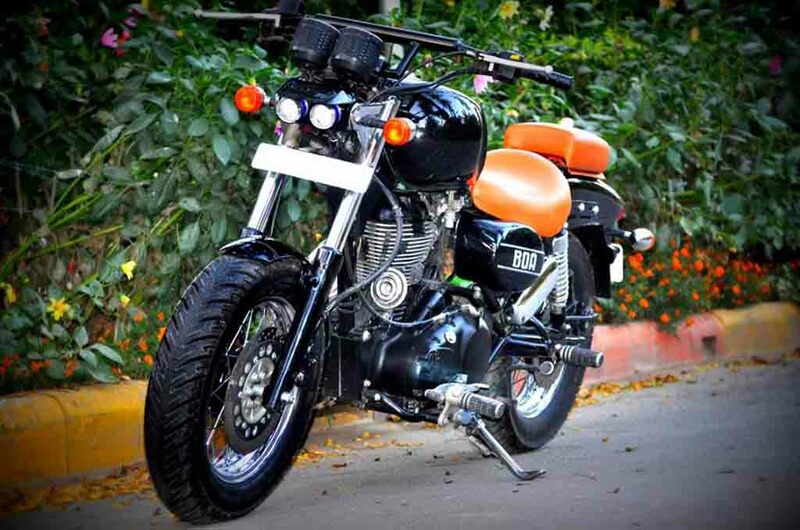 The Royal Enfield Thunderbird 350 Bobber Boa gets a new taillight, which appears to be inspired by Bajaj Avenger. 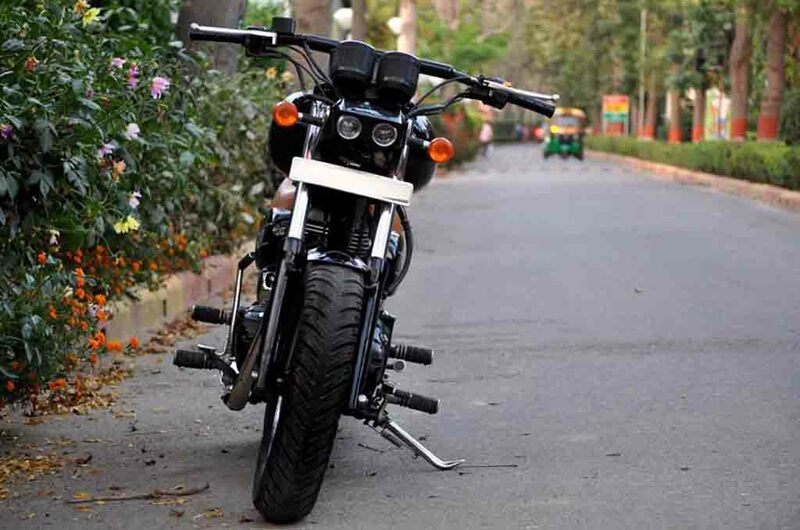 The shiny black paint scheme enhances the motorcycle’s visual appeal, while it comes with shortened fenders. Speaking about other modifications, it arrives with extended swingarm and the wheel rims are also new. It runs on multi-spoke wheels wrapped with thick tyres. The standard Royal Enfield Thunderbird 350 gets power from a 346 cc single-cylinder, air-cooled, twin-sparkengine mated to a 5-speed gearbox. The engine is capable of churning out 19.8 bhp of peak power at 5,250 rpm and 28 Nm of peak torque at 4,000 rpm. The motorcycle is sold at a price tag of Rs. 1,41,706 (ex-showroom, New Delhi).